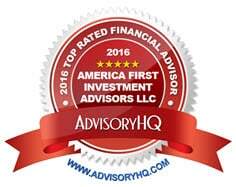 America First Investment Advisors has been named one of the “Top 8 Best Financial Advisors in Omaha” by AdvisoryHQ, an unbiased, third-party research organization. Step 1: Using publicly available sources, AdvisoryHQ identifies a wide range of financial advisors, RIAs, financial planners, accounting, and wealth management firms providing services in a designated area (city, state, or local geographic location). Step 2: AdvisoryHQ’s review team then applies initial methodology filters to narrow down the list of identified firms. These filters include a firm’s fee structure, fiduciary classification, level of independence, transparency, and objectivity. 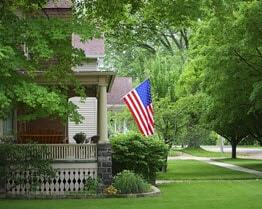 Step 3: After trimming down the initial list, AdvisoryHQ then conducts a deep-dive assessment of the remaining firms. The award criteria takes into account a range of factors, including experience level (broad level of expertise and extensive years of experience), level of customized services, and website quality. Open door policy, resource availability (number of “available” advisory professionals and supporting staff), and range of provided services are also assessed to build up a broad picture of what each firm has to offer, before the final selection process occurs. Step 4: Based on the results of AdvisoryHQ’s assessment, the firm’s research and selection team then finalizes the list of entities that make it into its top rated publications, which are then published to the general public. You can learn more about the methodology used by AdvisoryHQ and read the full report here.